Ladies First Choice is centrally located at 2337 Belleair Road, Suite E, in Clearwater, Florida. 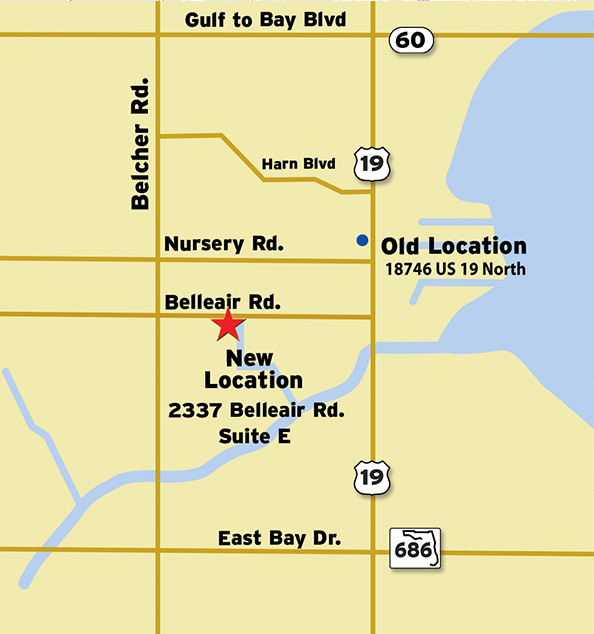 The boutique is located on the west side of US 19, on Belleair Road. From Gulf to Bay Blvd (SR 60): Turn south on US 19 Frontage Road, pass Harn Blvd. and Nursery Road then turn right on Belleair Road. From East Bay Drive Vicinity: Heading north on US 19 Frontage Road, proceed to Belleair Road (0.4 miles past Cove Cay Dr.) and make a left. Please call the store for verbal directions.